I love it when I find a new set I've never even heard of, let alone seen. 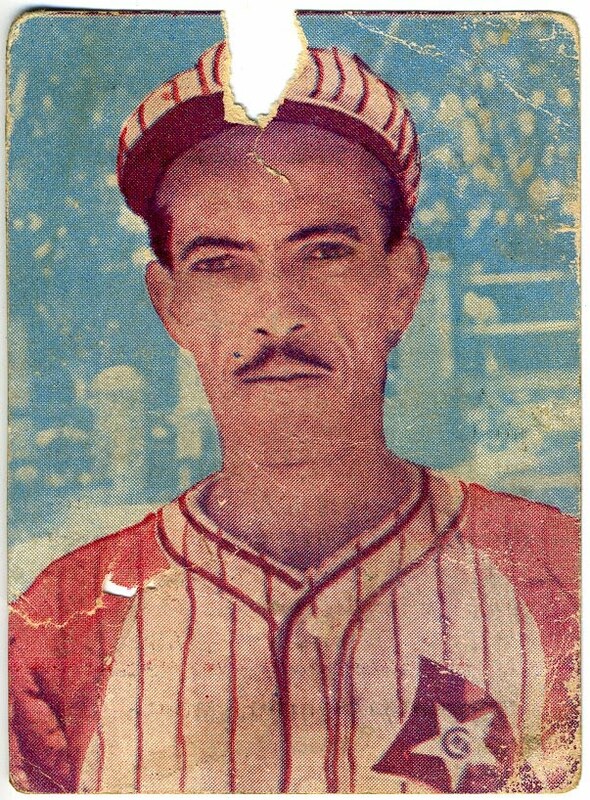 I recently bought a handfull of these Cuban cards and they're all in horrible shape. Perfect for this blog. As far as I know they contain players from an amateur Cuban league. What really drew me to post this particular card is it's watercolor-like look. The paper is extremely thin and each card is very delicate. And check out that moustache on Mr. Valdes. You wouldn't see a major leaguer wearing one of those in the 1940s. I've come to the realization that being a baseball card collector has really changed over the years. And it's all eBay's fault. Really fault is not the right word. I really think things have gotten better because of the Web site. Especially for buyers. I spent a few hours this afternoon in Anaheim, Calif. for the annual All-Star FanFest. It was pretty cool but I was a bit disappointed with the number of baseball card dealers. For those of you old enough, this was the type of event where you could expect to find those rare cards your local card shop didn't stock. And while the show had those cards, they were really expensive. There was a certain dealer who had some really nice stuff. He even had a few poor old baseball cards. 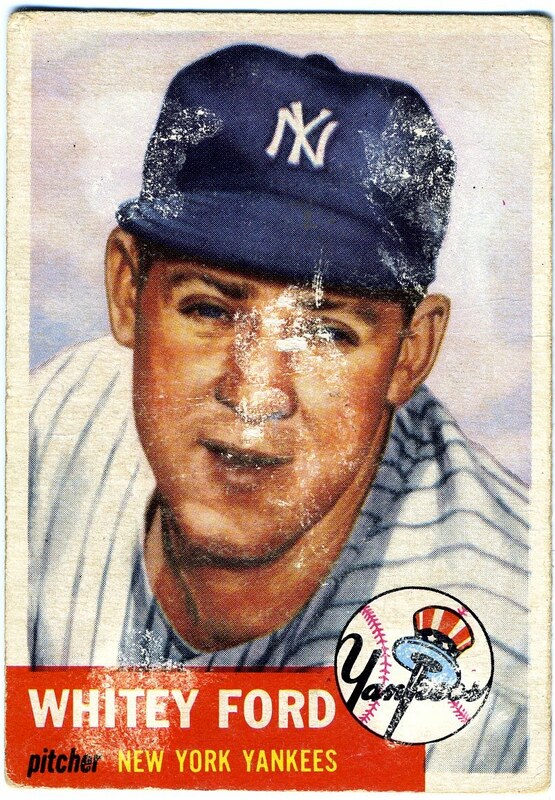 When I explained to him my unique niche, he seemed to have just the card for me: a 1958 Topps Micky Mantle that was pretty trashed. One problem, it had a price tag of $100. Was it worth $100?. Yeah, probably. But not in the day of eBay. He was even willing to let it go for $80, but as an eBay veteran, I thought I would be able to eventually be able to find one cheaper. Just like this 1953 Whitey Ford. An eBay steal at $7.99.